When it comes to buying cutting boards, things can be a bit confusing. After all, there’s nothing more beautiful than a wooden cutting board, but those things are breeding grounds for bacteria… right? Well, the truth is a bit more complicated, but to make a long story short, it’s perfectly safe to slice and dice on wood – and it may even be better for you than plastic. Plastic vs. Wood: Which to Choose? 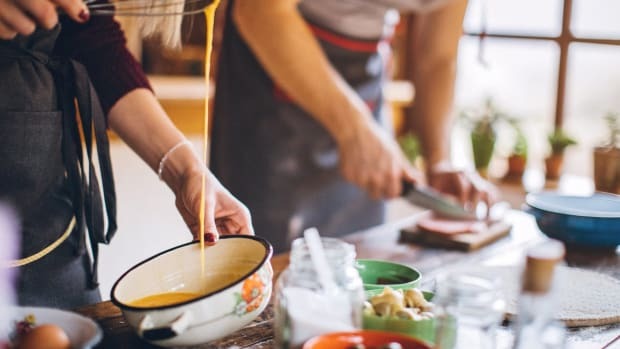 Plastic cutting boards are touted for their cleanliness and the ease of their care: all you need to do to wash one is run it through the dishwasher. People also tend to assume that because wood is porous and plastic isn’t, it’s more sanitary. Research from Dr. Dean Cliver at the University of California, Davis, disproved this line of thinking. 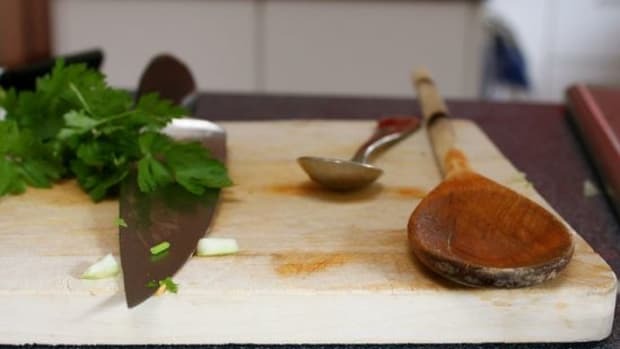 He found that since plastic boards are easily scarred by knives (whereas a well-made wooden board is soft enough to not be damaged by knife use), they can become breeding grounds for bacteria, which congregate in the grooves formed by blades. Bamboo is sometimes highlighted as a good halfway point, as it tends to be cheaper than wood and is a very renewable resource, making it an environmentally friendly choice. In addition, since bamboo is harder than wood, these boards absorb less liquid, which many believe make them more sanitary. But this hardness isn&apos;t always a positive. Not only are bamboo boards tougher on your knives, they can also be dangerous to use. 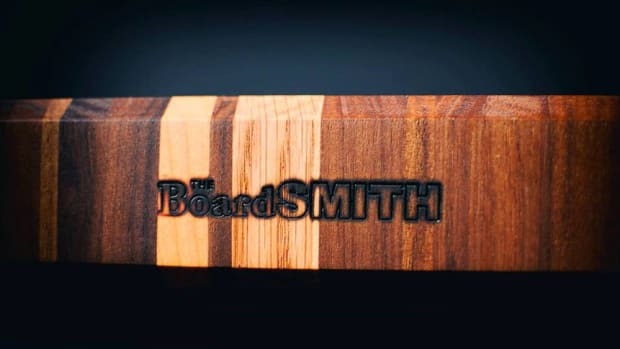 "The very slight texture provided by wood keeps the both the food and the knife blade from sliding or hopping around," notes Joseph Barbercheck, Vice President of Sales and Marketing at Michigan Maple Block. Blade skip on bamboo or glass cutting boards can at the very least can make you less precise with your cutting and even contribute to knife-related kitchen injuries. It&apos;s no surprise that most chefs choose wood: it&apos;s beautiful, it&apos;s sanitary, and it&apos;s safe to use in the kitchen. 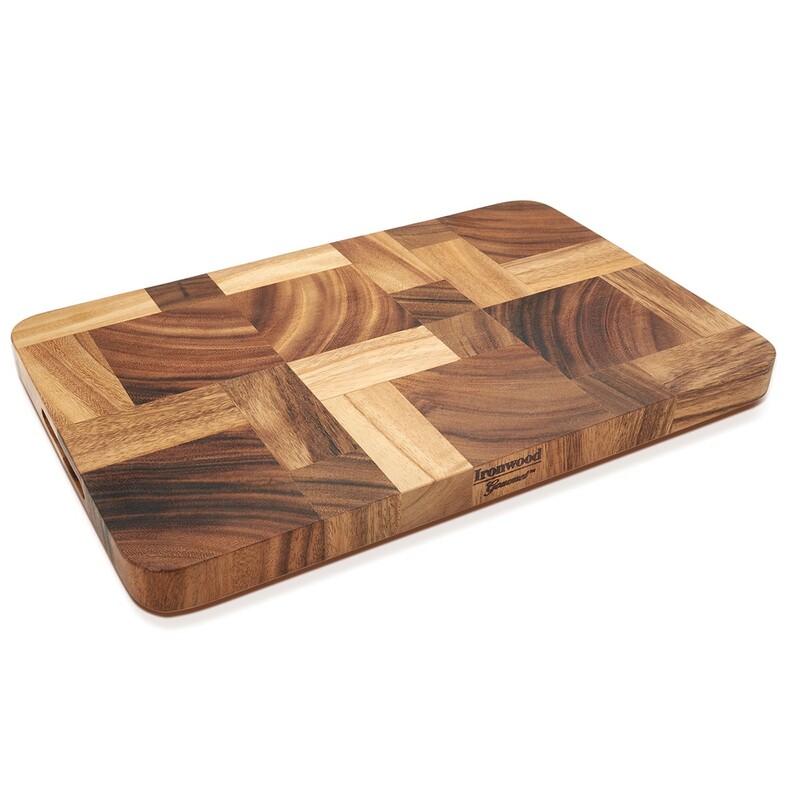 When you’re choosing a wooden cutting board, there are a few things to bear in mind. The first is the species of wood being used. Common hardwoods include cherry and walnut; maple, he notes, is the most popular for its durability and for its abundance in North America, making it cheaper than some others. You’ll also want to look into the sustainability of the source materials. Aside from the variety of wood being used, one of the most important decisions to make when choosing a wood board is how it’s made. 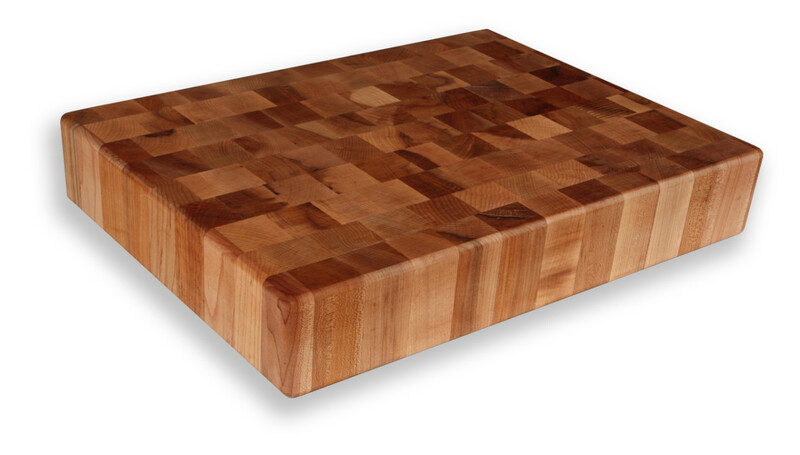 Two major types of assembly are used in the wooden cutting board industry: end-grain and edge-grain. Edge-grain, as its name suggests, is made of parallel pieces from the edge of the wood. More durable and easier to maintain, edge-grain cutting boards are also more affordable. However, edge-grain can also be harder on knives, due to the way in which wood fibers are laid out. End-grain wood is the favorite for most pros. These boards are made from end pieces of wood that are glued together, often in a checkerboard pattern. With end-grain, Loftis explains, you can imagine the "straws" of the wood fibers being turned vertically. An end-grain board is also easier on your knife, preserving these all-important tools in your kitchen arsenal. Whichever board you use, it’s also important to stay away from glues that contain formaldehyde. Most of the boards that we recommend use either Titebond II or Titebond III food-safe glues. The latter is a waterproof glue; the former, while not waterproof, is water-resilient, and it withstands high heat better. Rick Odea of Richard Rose Culinary notes that he uses type III for boards destined for home use. “I know that someone is gonna submerge it or run it under water, and I want those joints to stay laminated," he explains. He usually opts for type II for restaurants, because of the glue&apos;s resistance to high heats. Depending on what you will be using your board for and how you intend to care for it, this is a good question to ask the manufacturer before buying a board. 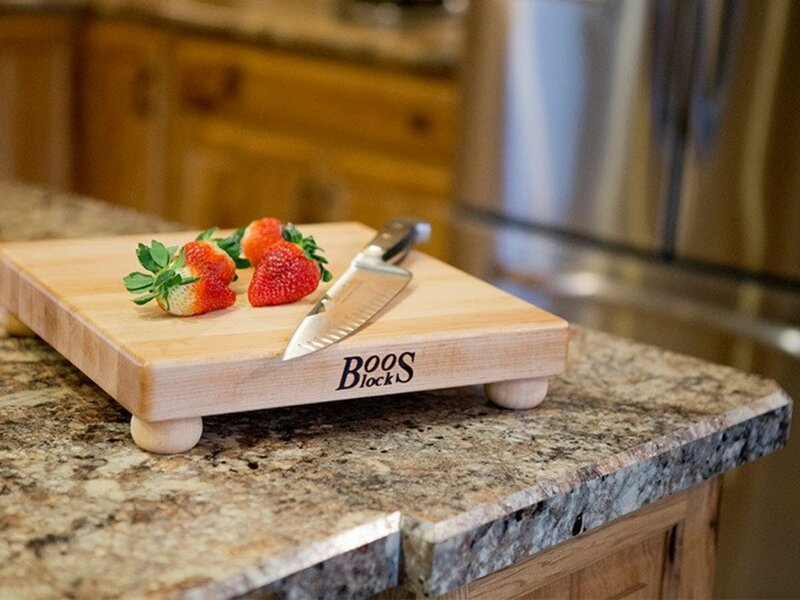 John Boos has long been one of the top names in American-made wooden cutting boards. Established in 1887, John Boos works with three American hardwoods – hard rock maple, cherry, or black walnut – for solid, durable boards that stand the test of time. John Boos is also a sustainable choice, boasting the National Hardwood Lumber Association certification. Michigan Maple Block is yet another traditional cutting board maker, founded in 1881. The company takes particular pride in its eye towards sustainability: a forest stewardship team manages the company-owned tracts of land from which the wood is harvested, and scraps and sawdust generated in the production process are used to heat the plant and fire kilns. This also ensures that the woods have a particularly tight grain, he notes, due to the long, cold winters in the area. “This tight grain distinguishes us even from other wood cutting boards,” he says. This rural New York-based manufacturer has been making hardwood kitchen islands, carts, and work-centers since the 1940s and today is one of the top producers of quality end- and edge-grain cutting boards made from sustainable North American, non-endangered hardwoods like birch and hard rock maple. Catskill Craftsmen went even further in its sustainability goals in 1997, when the company teamed up with the Watershed Agricultural Council to install an air recirculation system to take advantage of the warm air in the plant, lowering wintertime heating costs substantially. 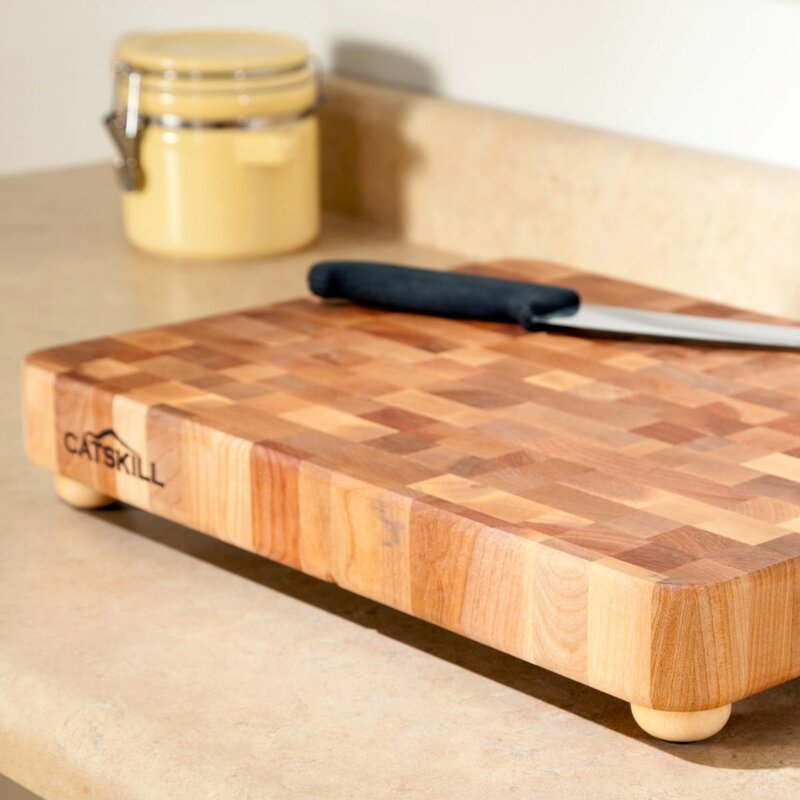 Many of Catskill Craftsmen’s boards are thicker slabs with finger slots, making them both sturdy to use and easy to manage and maneuver. They offer both reversible boards and boards with feet; the former are great for separating meat and plant-based cutting surfaces, while the elevated surface of the latter is great for ensuring that your board does not absorb too much moisture while you work. 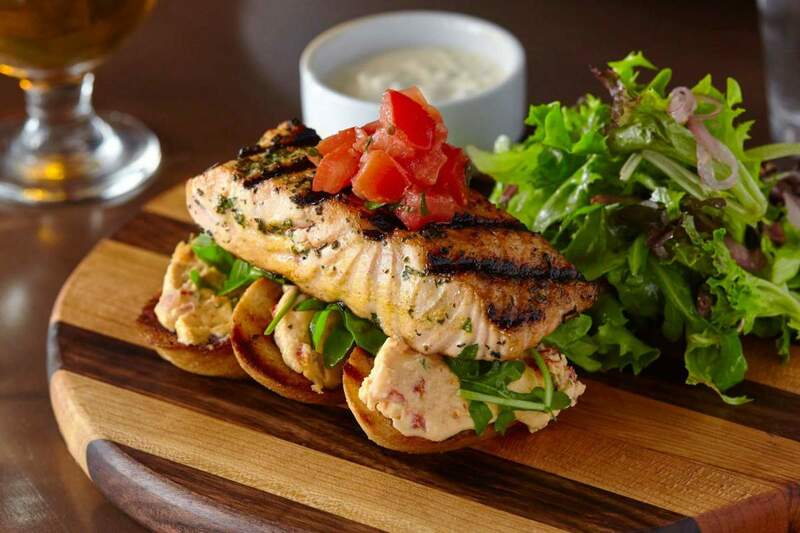 The unique patterns of Ironwood Gourmet’s acacia and rubberwood boards make these pieces as beautiful as they are useful. Acacia is an environmentally friendly wood that is known for its rich, dark colors and its unusual chatoyancy, a property that makes it appear to change color and luster in different lighting conditions. Rubberwood, meanwhile, is an eco-friendly wood that is durable and less likely to warp and crack than other woods and sourced from latex-producing rubber trees that are between 26 and 30 years old. At this point, latex yields become low, and planters usually fell the rubber trees to make way for new ones. 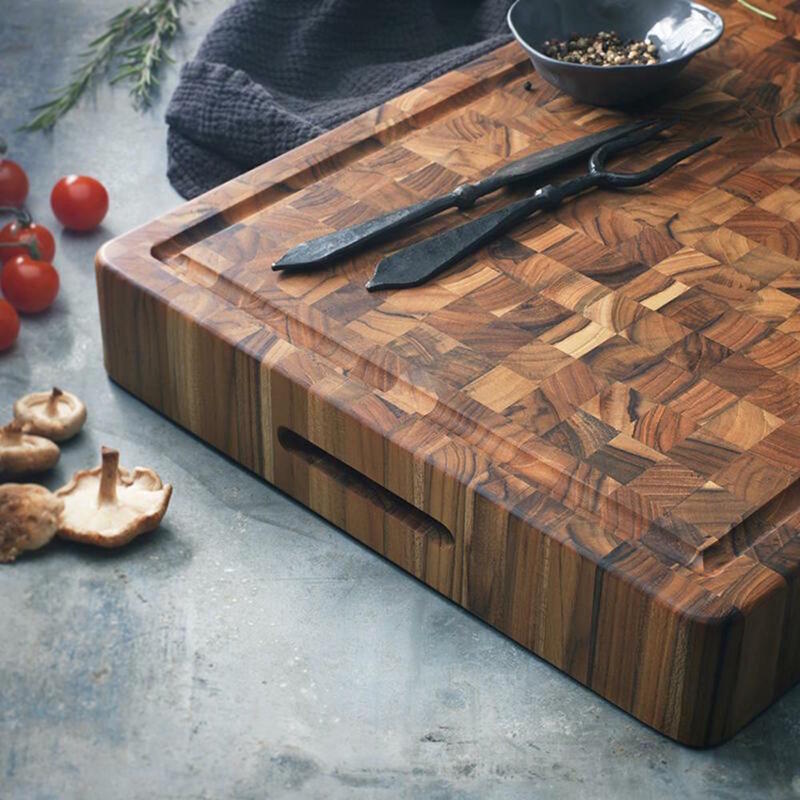 Ironwood Gourmet plays with the natural textures of the woods to create beautiful cutting boards, such as an end-grain board with an edge-grain frame and juice groove, or a patchwork board combining both end- and edge-grains. 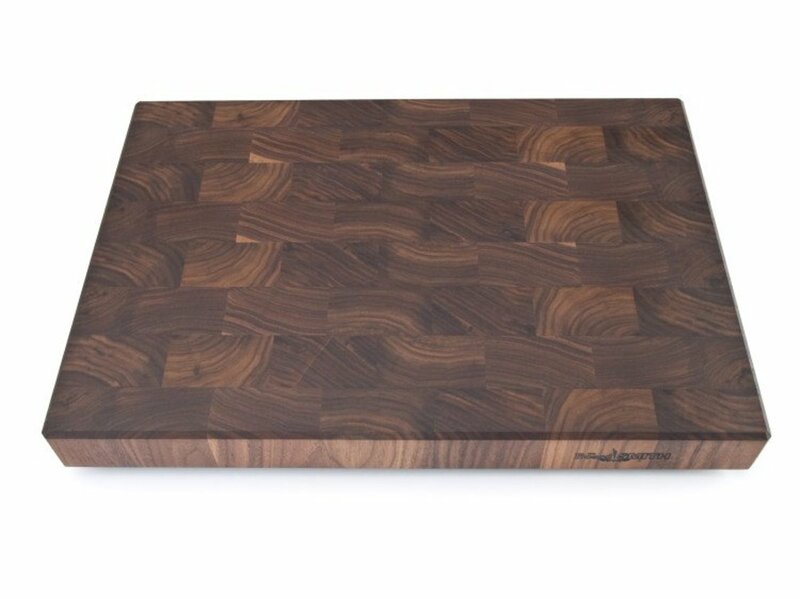 Teak is an excellent, durable choice for cutting boards thanks to its natural resistance to moisture, and FSC-certified TeakHaus is committed to making these boards environmentally sustainable as well, planting teak forests in previously undeveloped lands. The beautiful butcher block collection of end-grain cutting boards offers a variety of shapes and sizes to suit your specific needs. The Boardsmith’s boards are as much useful as they are works of art for the kitchen. John Loftis, who honed his craft with Boardsmith founder David Smith, makes each and every board by hand. The details are king, here; Loftis works with only three wood species – maple, walnut, and cherry – which he says have the best balance of hardness and scratch resistance. He off-sets the pieces for stronger glue joints, and as a finishing touch, he nests the silicone or rubber feet inside wooden escutcheons for a more finished final product. Loftis intends for his boards to be passed down through generations, which means that if they get scratched or warped, he’s more than happy to rehab them. 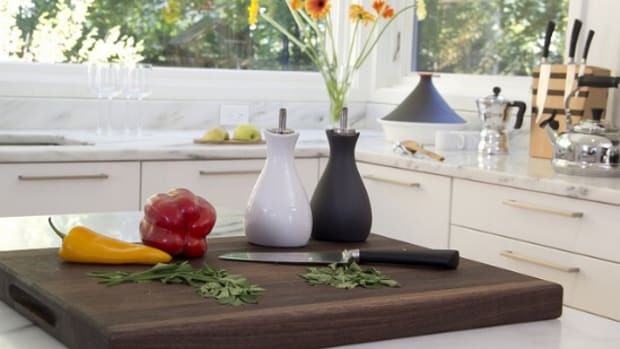 A favorite of Food Network and Cooking Channel chefs, Richard Rose Culinary cutting boards are perfect for the home chef who wants a professional quality product. Previously known as Ozark West, the company specializes in end-grain cutting boards made with cherry and walnut woods. As a one-man enterprise, Odea is able to control everything about the process, from sourcing to how each board is made. 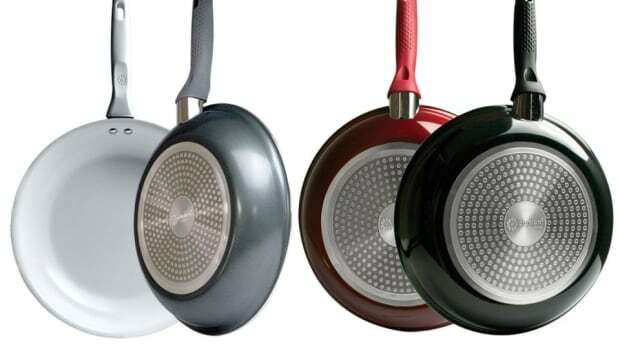 “Ultimately, we&apos;re trying to make a board that lasts a long, long time for the consumer,” says Odea. “They pay for it up front, but if you can get 50+ years off of a nice end-grain board, and you look back at what you paid for, you&apos;re only looking at a few dollars a year to maintain something that will last that long. It&apos;s almost unheard of in today&apos;s manufacturing. Wooden cutting boards require slightly more care than their plastic counterparts, but if you treat a wooden cutting board right, it will last you a lifetime. As with any cutting board, it&apos;s important to be aware of what you&apos;re cutting and in what order. While wooden cutting boards do wick away bacteria, to avoid cross-contamination, it’s a good idea to chop vegetables before meat or poultry. 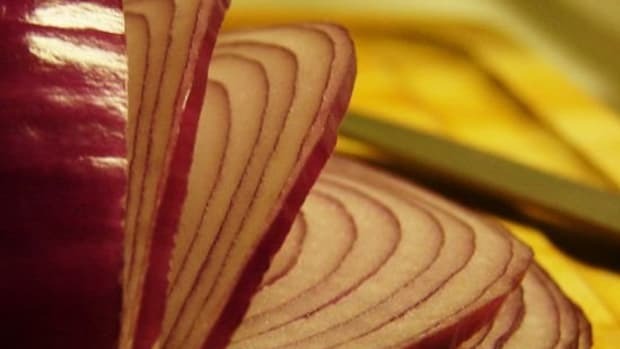 With a two-sided cutting board, you could also use one side for meat or for strong-smelling garlic and onions and the other side for everything else. Care-wise, wooden cutting boards should never be put in the dishwasher; they also should not be washed under a stream of running water. Wash your cutting board quickly with dish soap, rinse it, and dry it off before putting it away. While many board manufacturers also make their own board oil, we like Caron & Doucet vegan cutting board oil, which is made with coconut oil and devoid of petroleum byproducts. 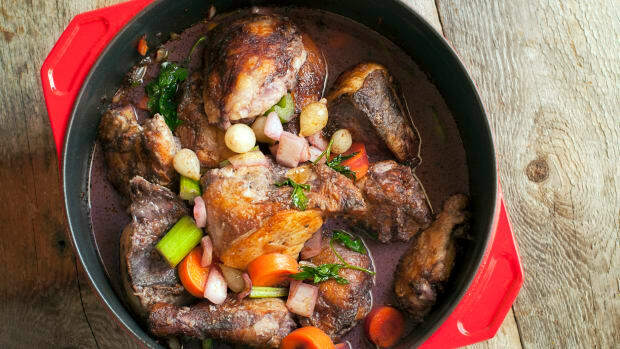 It is refined to be flavorless and odorless, and not to go rancid like other oils. The blend also includes essential oils, lending the product a scent reminiscent of pine and citrus. In addition to regular oiling, most experts also recommend using some sort of conditioning cream, usually made with beeswax, to serve as a natural water repellant. Caron & Doucet also makes a vegan board wax, which you can use in tandem with the natural oil to keep your board looking like new. 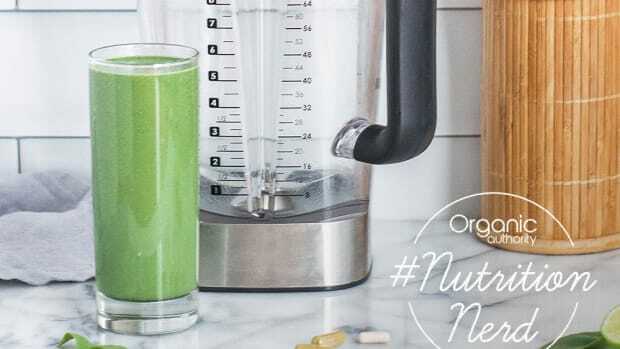 Help support Organic Authority! Our site is dedicated to helping people live a conscious lifestyle. We’ve provided some affiliate links above in case you wish to purchase any of these products.